Supply chain and cargo thefts have always been potentially costly problems, but there are newer ways to try and reduce them through transparency measures. In a broad sense, getting specific information about suppliers and shipments can help you stay connected to your processes, even if they are complex, and decide what to do next. Having a flexible system setup can make this easier as well. What's more, the widespread nature of theft could demand efforts not just within shipping routes themselves but at various points throughout their supplier systems. Here are examples of how policing theft could happen at different points within a company. How can one of the most protected areas also be one of the prime areas for fraudulent activity? According to Danbee Investigations Barry Brandman, referenced in a Supply Chain Digest article, distribution centers generally aren't adequately safe from theft, since they rely too much on video systems, guards, alarms and measures that might not actually cut down on the rate of fraud. That's because, Brandman, said, theft comes from the culture which can ensnare workers at distribution centers. He also said that 80 percent of employees may start out loyal but give in to some criminal enterprise over time, as opposed to the minority of workers who are either intentionally law-abiding or fraudulent. This could mean that your company needs to increase its transparency through purchasing management to closely oversee spend and look for irregularities. 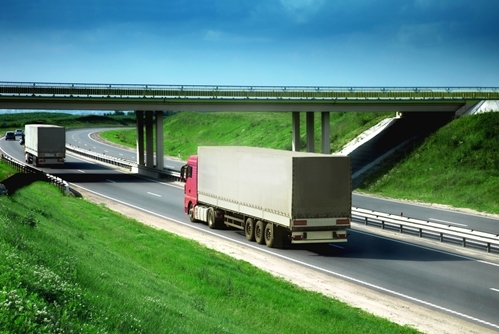 "Shipments may have a long road before their final destination." Once shipments leave production, of course, they may have a long road before their final destinations. During that journey, all sorts of errors or deliberate thefts might occur. To counter this, one approach could include making data more accessible to every member of the supply chain through an updated global ledger. In other words, this might involve the much-mentioned blockchain model for compliance and ledger tracking. The Manufacturer explained the possible advantages of this approach and the way it could enhance security. Though blockchain standards still haven't appeared, the source said, the model could leave enough information to make important decisions for efficiency, and also see exactly when and where shipments traveled through every step along the way. Companies could also control how they release data, giving them more transparency options as they learn more about their own products. Since some major businesses have started using blockchain, it's possible there will be more real-world examples to draw from in the future. Theft within health care supply chains deserves a special mention. Healthcare Packaging said that companies in this industry are spending more to reduce thefts, including through shared information to promote common standards. This came from Purdue Pharma Supply Chain Director and Pharmaceutical Cargo Security Coalition Chairman Charles Forsaith, who spoke about this subject at the RxAdherence Conference, the source said. Forsaith acknowledged a decline in theft of pharmaceutical cargo, as of 2016. Last year, an FBI report said there were 547 cargo theft reports submitted to law enforcement during 2014 alone. Using the right global sourcing strategies, you can harness enhanced data gathering to specifically target sourcing issues and help keep the theft number low.